Hello lovelies! I hope you're all good and have had a lovely day. 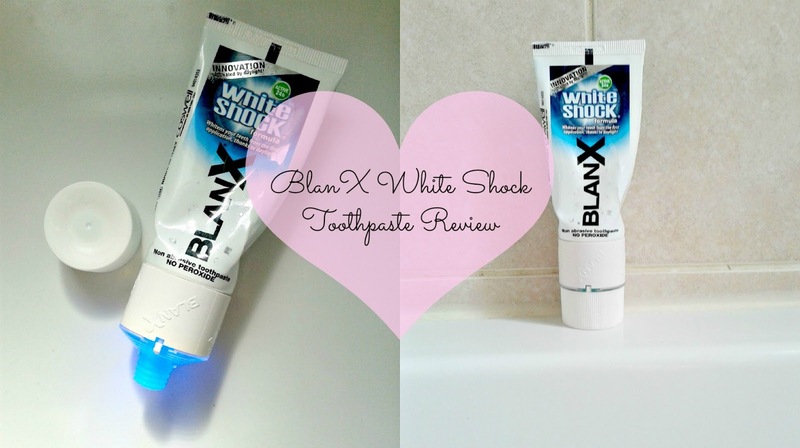 A few weeks ago, I was sent this BlanX White Shock toothpaste and I'd been waiting until I'd finished the tube to review it as I wanted to see if it truly made a difference! After trying it for a few weeks, I feel like I have given it a fair enough test to do a accurate and honest review, so let's get into it! As you can see, this is no ordinary toothpaste. This one has a little LED light in the lid. This is what the BlanX website says about this, as I'm sure I'll mess it up if I try to explain!! "BlanX White Shock formula contains an internationally patented ingredient called Actilux®, which reacts to light to help whiten teeth naturally. Actilux® has a photo-catalytic effect - breaking down organic dirt and bacteria using light, washing away dirt via the lotus effect. 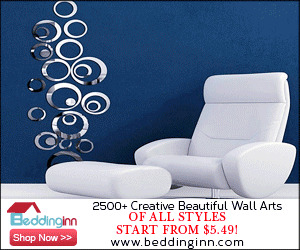 Dirt particles are picked up by water droplets (saliva) due to a complex micro- and nanoscopic architecture of the surface, which minimises adhesion." "The LED light works as a booster to the Actilux® in the BlanX White Shock formula, activating the formula as it passed through the tube. You can also use the light on the end of the toothpaste tube to boost the formula whist on your teeth by holding the light in front of your mouth for 1 minute everyday." To be honest, when I first got this toothpaste, I thought the LED light in the lid was the coolest thing I'd ever seen, but I did wonder if it was a bit of a gimmick and possibly a little pointless. Although, I did as the website says, and held the light infront of my teeth for one minute a couple of times every week and I have honestly noticed a difference in the whiteness of my teeth! I didn't use the light in the first week of using the toothpaste, and while it definitely did make my teeth a little brighter, it was definitely more noticeable when I used the light. The cool thing about this, is that you can buy refill tubes, but the LED light is reusable. This has a pretty standard, minty taste so nothing to odd! The whitening effect is nothing too mad, but they definitely seem a lot brighter and I've had a couple of people mention it so that's great! I have slightly sensitive teeth at times and this didn't irritate them at all, which is fab as some other whitening toothpastes have been a little harsh for my teeth - and didn't white as much either! Overall, if you'd like a natural whitening effect to your teeth, with a toothpaste that's not too harsh and still good for sensitive teeth - this is for you! Definitely looks like it is worth trying my teeth are quite sensitive so good to know it isn't a problem for that! This looks good!! Will defo have to pick this up when I see it! as a mature man i have started to use it, and even after a couple days, what a difference, and if you have an led light from an old home whitening kit you can use that as a boost.... and sainsburys are sellng the larger size tubes 75ml for three quid !!! but be quick..
sturdy, white tooth & clean inhale. Uncover which usually Aquafresh goods tend to be to suit your needs. Picked the tooth paste up today reduced in boots for 75ml. Think it was £2.34? Gonna use led light I have as a booster! All the reviews sound good! Gave up on cigarettes a year ago, but coffee is still here, heh! Would like to try this, i'm curious will it work. MARCH FAVOURITES/ HAPPY BIRTHDAY CHLOE'S WAY!